The visitors list for the Florida Gators game against Colorado State wasn’t as loaded as past week’s but the staff had a chance to catch up with a few of the current commits due to the small list. Florida receiver commit Dionte Marks (5-11, 178, Deland, FL. High) was on campus for the first time this fall on Saturday to see the Gators win. The coaching staff was happy to see Marks on Saturday after the receiver didn’t visit much over the summer. While on campus Marks got the chance to talk to several of the Gators coaches who made sure to give the receiver props on his big senior season. Receivers coach Billy Gonzales also explained to Marks again on Saturday how the Gators would use him on offense in Gainesville. Despite this being Marks’ first trip to Gainesville this fall he has been following the team from home and Gonzales has also been keeping him informed on how the offense is doing this year. Marks also noticed a difference in the team this week after the Gators lost to Kentucky last weekend. 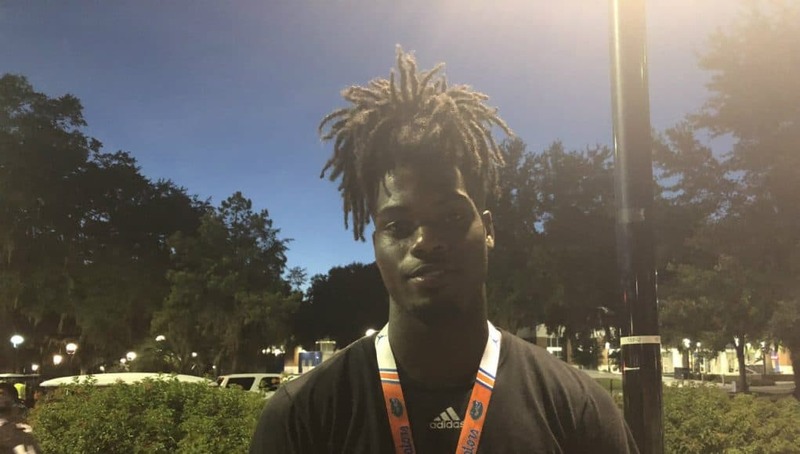 After the visit to Florida on Saturday, Marks didn’t know when he would return to Gainesville but says an official visit isn’t coming during the football season. The Gators did get good news from Marks who has had several new teams start recruiting him as the receiver says he’s still solid to Florida. INSIDERS TAKE: Marks says he doesn’t have anymore visits planned and he says he may be back for the LSU game in October.